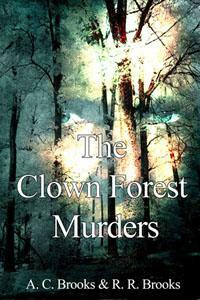 I had a unique opportunity to join my father, Robert Brooks, in a book signing for our recently published mystery novel The Clown Forest Murders. Aside from getting further pictorial evidence of what I’ll clearly look like in 30 years, we were both asked by the Obama-inauguration sized crowd to share what it had been like to write and edit the novel together. As we respectively answered, countered, accused and rolled our eyes, it struck me that some of the ‘lessons learned’ are applicable across any experience of creating (in this case a written work) with a group. Remember everything is someone’s baby – One of the audience said she thought it was adorable that the original manuscript for the novel was my baby, and that I was my father’s baby. This had little to do with the book itself and mostly served to embarrass me as a fully grown adult, but it did resonate. Even in work contexts where you’re co-writing and editing a press release, marketing copy, or simply a company-wide email, every author feels like a creator. He or she is invested in the content they’ve put on the page down to specific word choices and turn of phrase. And this doesn’t mean you don’t edit with the sharpest of scalpels, but it does mean…..
Circling large sections of dialogue and writing ‘PUKE’ isn’t great feedback – In retrospect, I could have been more thoughtful as to why I found certain sections of our collaborative writing vomit-worthy. Perhaps I could have added context like ‘I don’t believe a 20-something in 1995 would use this phrase, perhaps we could choose this instead’. Simply slashing and striking without any explanation, is not only the equivalent of calling that someone’s baby ugly, but deciding it’s so ugly it needs to be burned from the face of the planet. With hellfire. The natural reaction to that type of criticism isn’t to say ‘oh yes, you’re right, I’m sorry for even thinking I had the right to exist in the first place, much less my creation’. It’s a bit more in the ‘dig in the heels and stop being productive’ category. 1,000 readers means 1,000 different books read – My father mentioned this quote in reference to how unique each reader’s experience with a piece of fiction is. The reader brings their own context, obsessions, beliefs and background to the story. For the co-writing process, this meant character behavior I found ludicrous, my father found unique, interesting and engaging. And this is one of the powers of co-writing, be it for pleasure or business. You shouldn’t be looking for a partner to simply nod and say ‘yep….you nailed it’. You are looking for a partner that potentially pushes a different agenda and view, and in so doing gives that many more readers and opportunity to connect the dots into their own specific life. Take the moment to reflect on how deep your personal bias, and how unique and therefore not broadly applicable your own perception may be before dismissing alternative approaches out of hand. And the 3.5th tip is to keep your distance. My father and I were blessed to have done our co-editing of the near final manuscript from a distance of 2000+ miles. Mostly over email. So even when one of us wanted to strangle the other, the worst we could do was threaten to write me out of the will / put him in a shoddy home. Family! And of course, please get the book now on Amazon. ‹ PreviousCome again? Bearded clam, you say? Got it, don’t write a book with my dad. Don’t think it will be a problem, as neither of us are really capable of such a thing, but we’re definitely too close to one-another for the edit process. Maybe stick with haiku then…. The other factor to consider is whether the puking author has any experience in writing fiction. Luckily the critique groups I’ve been privileged to join have been free with suggestions for improvements. Always worth hearing another reader’s take on how to do it.